It is said that “quitting whilst on top, is not the same as quitting” and this is no truer than Andre Benjamin (popularly known as Andre 3000). First of all, It is unlikely that we will ever see an album from this living legend, young as he is, hence the retirement sentiment; but then, as the most sort after collaborator, choosy as he is on who to associate himself with; it’s hard to retire when a younger generation of what you helped anchor constantly knocks at your door looking for some guidance, some elevation, and willing to pay any amount of money just for a ’16’. And so we have Andre 3000, a non-retired retired rapper, top 5 on any list, dead or alive, occasionally coming out to show us just why a rapper with so little body of solo work is on top of every rap table. Andre 3000 is a class act in a class of his own. When Jay Z went around the world into one of Andre 3000’s hideaways, to pull him back into one of the biggest projects jay Z has ever been asked to oversee, a soundtrack the biopic, The Great Gatsby, Jay knew that Andre is the highest level you can reach in the rap game, in the music world and boy was he right. Pairing Andre with his golden wife Beyonce, to remake a classic, Back to black by Amy Winehouse was a bold move that soon showed to have been an inspired one. The melody, the delivery, the art, perfection, Andre does with the song what no other rapper can, what very few musicians could. 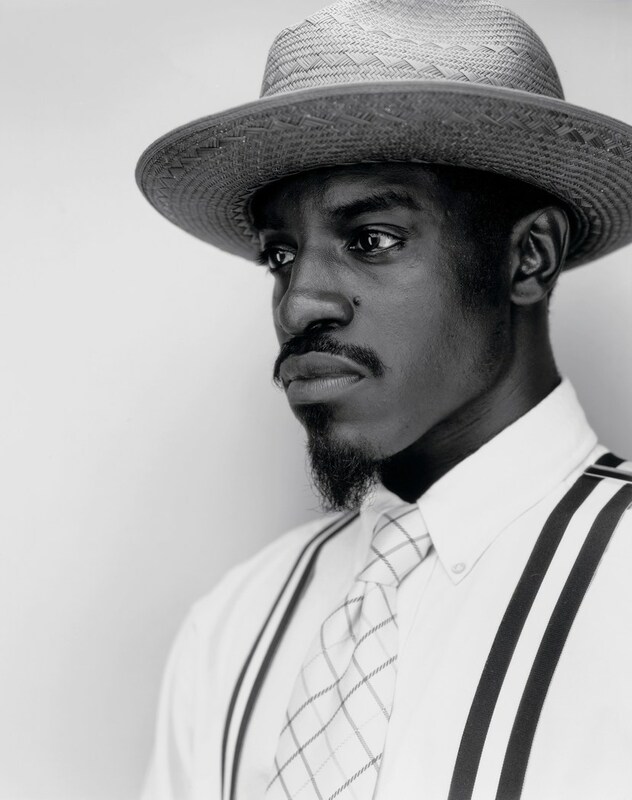 We do not call musicians artists for nothing, and they don’t get more artistic than Andre 3 stacks. When Erykah Badu, an incomparable artist herself was asked by The Guardian for their “Portrait of an Artist” series about the work of art she would like to own, a Basquiat painting or Van Gogh would be more of a likely answer but her surprise response was “Andre 3000”. It’s an answer both puzzling (since Andre is human and not art) but equally satisfying because in fact Andre 3000 is simply a great work of art. And only a year before, Andre had taken over the world with a flawless verse delivered alongside another flawless artist, Franck Ocean, on their artistic track “Pink Matter”. When you hear such contributions Andre Makes to the work of his friends, you stat understanding the fear than an artist may have about whether such genius and inspiration can be delivered on a 13 song full album. It almost seems a tall order, given the quality of his “16s”. Andre has shown the kind of diversity in an artist that will probably never be seen again for a very long time. He has crooned and rapped with the likes of Kellis, Devin the dune, John Legend, Young Jeezy, Drake, Beyonce, Chris Brown, Rick Ross, and the list goes deep. It’s like watching a genius and wondering, what’s on his mind, what’s his next move, what will he do with this record. It’s a marvel to watch. Andre knows that we will accept nothing less than a classic from him. And as is evident, he seems unable to accept anything less than a classic from hisself. Whilst we may think to much is given, much is required, Andre 3000 seems to think to much is given, only the best is required. Andre represents the purest form of the art that is Hip Hop, and he seems to know that and has embraced it like a divine calling. But then, maybe Andre never wanted any of this, he never wanted to be a star, he never wanted the money, he chose to run away from it all, and yes, he is sorry for disappoint his fans, his rap partner, the world, all he ever wanted to do was live life in his own terms, making music when he wants to, making the kind of music he likes and yes making music with his fellow rappers he is a fan off. Is that not what we all want. Freedom to create? I am happy with what he has created. It will last for as long as music lives.